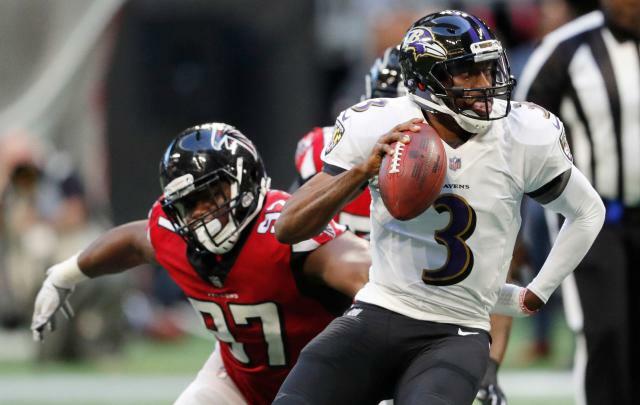 Baltimore Ravens quarterback Robert Griffin III is being sued in a Missouri district court by his former NFL agent, who is alleging the 2012 offensive rookie of the year refused to pay over $650,000 in fees before terminating their relationship in 2018. Yahoo Sports obtained the lawsuit, which was filed in the U.S. District Court’s Eastern District of Missouri last week. Within it, NFL agent Ben Dogra claims Griffin failed to pay him the majority of marketing and endorsement fees the two sides agreed upon “since the first invoice in 2014”. In total, Dogra claims Griffin owes him $658,975.57, stemming from a 15 percent share of the marketing and endorsement deals negotiated for the quarterback. The suit seeks repayment of the debt, plus interest and any further damages to be determined at trial. Dogra declined comment when contacted by Yahoo Sports. An agent for Griffin didn’t respond to a text seeking comment. Dogra invoiced Griffin for $389,803 in fees in 2014 and received $12,975 in payments. Dogra invoiced Griffin for $258,559 in fees in 2015 and received $36,371 in payments. Dogra invoiced Griffin for $58,714 in fees in 2016 and received no payments. The lawsuit contends that Griffin severed ties with Dogra in 2018 without settling the debts. Griffin signed a two-year $4.5 million contract extension with the Ravens last week to remain as the backup for Lamar Jackson. A lightning-rod as a rookie with the Washington Redskins in 2012, Griffin had his career derailed by a knee injury and eventually lost his starting job to Kirk Cousins in 2015. He signed for an injury-plagued season with the Cleveland Browns in 2016 and then went unsigned in 2017, before catching on with the Ravens last year.